It’s been awhile since I posted a recipe on here from my plant-based cooking course at Rouxbe.com. I’ve been WAY behind, and most of the lessons have been on technique… not recipes. Tonight is the first recipe I’ve had to cook in awhile. I can tell you that the next few units have a lot more recipes, so I can add those as I complete them. 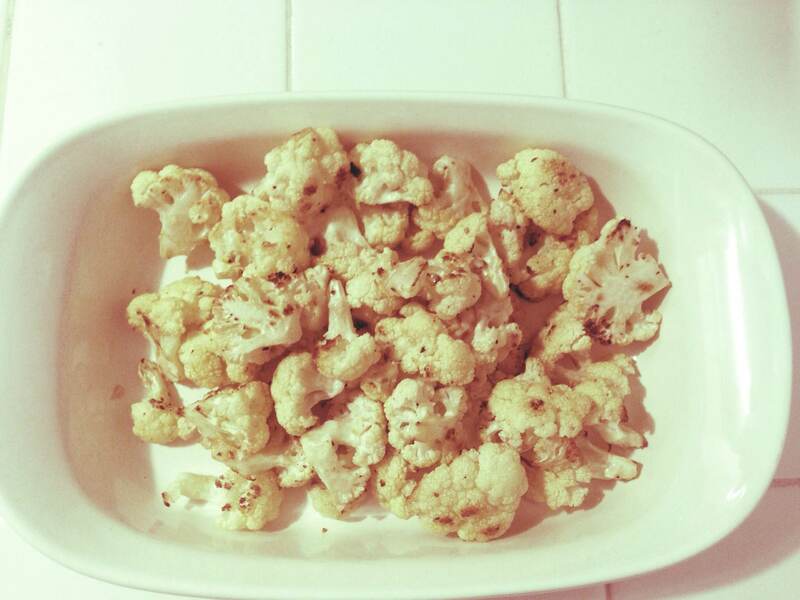 This week, was Roasted Cauliflower. I feel like cauliflower is a little under-appreciated, but is getting a revival in many restaurants around L.A. This version is very light, and a good summertime version as a side or part of a salad. Crush the garlic over a large bowl. Add the lemon zest, lemon juice, salt and pepper. Whisk in the olive oil. Set aside while you prepare the cauliflower. Remove the large florets from the cauliflower and cut them into even-sized pieces. Any of the very large florets can be sliced in half. 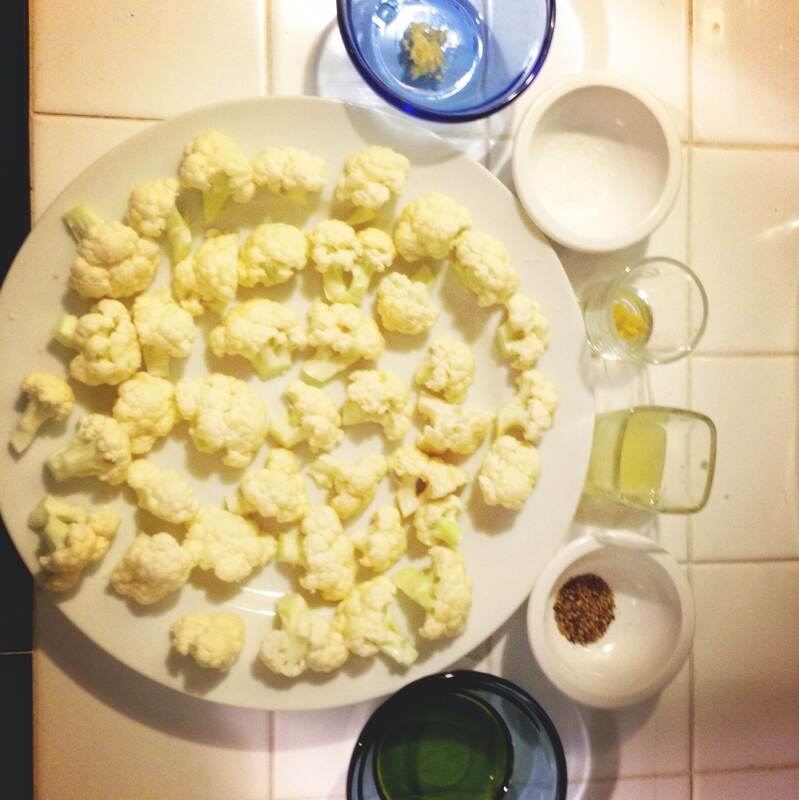 Place the cauliflower into the dressing and toss to coat. 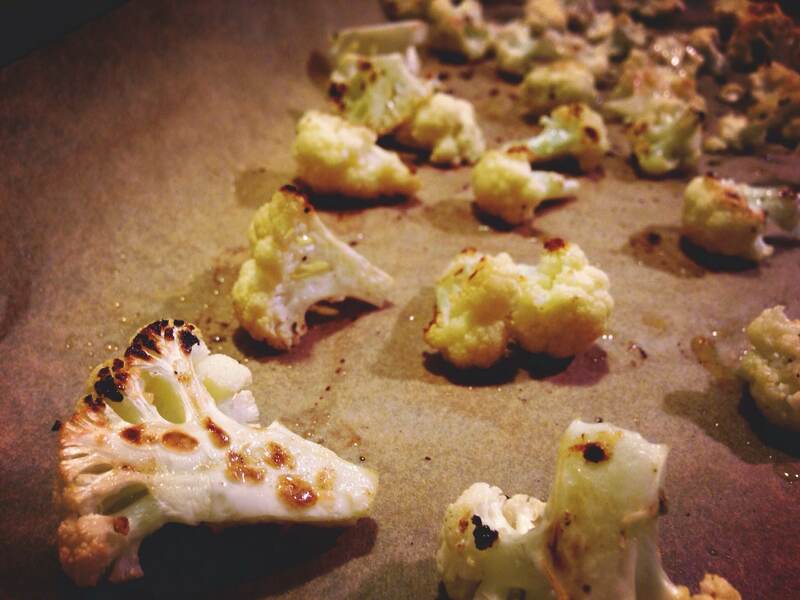 To roast the cauliflower, line a baking sheet with parchment paper or aluminum foil. Lay any flat pieces of cauliflower cut-side down, for caramelization. Roast 10 minutes. Toss cauliflower and return to the oven for 3 or 4 minutes or until it is almost cooked through. Once it is almost cooked through, grate some fresh parmesan cheese over top, if desired. Place back into the oven for another minute or so, just to melt the cheese. *Note: For plant-based, use a non-dairy parmesan, or omit from the recipe.